OTTAWA, November 2014 – C-COM Satellite Systems Inc., (TSXV: CMI) the leading global provider of mobile auto-deploying satellite antenna systems, announced today that it has achieved type approval for its iNetVu® Ka-98H antenna system from Avanti Communications. 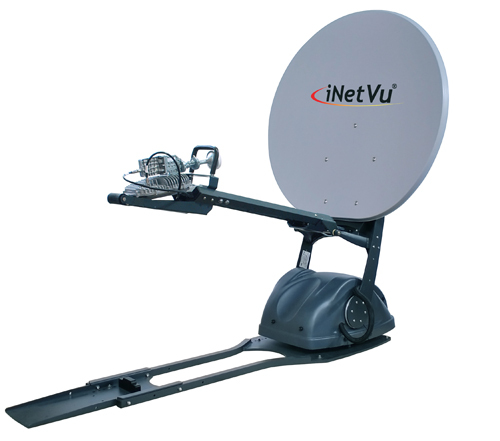 The iNetVu® Ka-98H mobile is the company’s second approved vehicle-mounted antenna that is able to operate on Avanti’s HYLAS 1 and HYLAS 2 Ka-band satellites. Avanti provides coverage across Europe, the Middle East and Africa. The iNetVu® Ka-98H mobile antenna, along with its 7024 auto-acquire controller, enabled service of up to 2.5Mbps upload and 15Mbps download rates with a cost-effective 2W transceiver during the tests. A number of iNetVu® Ka-98H mobile antenna systems have already been delivered to Avanti resellers. The product is now in full production and is available for immediate delivery.